Add a finishing touch to your indoor design scheme with the Liberty 1-3/8 in. Bronze with Copper Highlights Small Wire Swirl Knob. The knob is made with metal for durability, and the beautiful finish offers an elegant look. Easy installation with mounting hardware included. 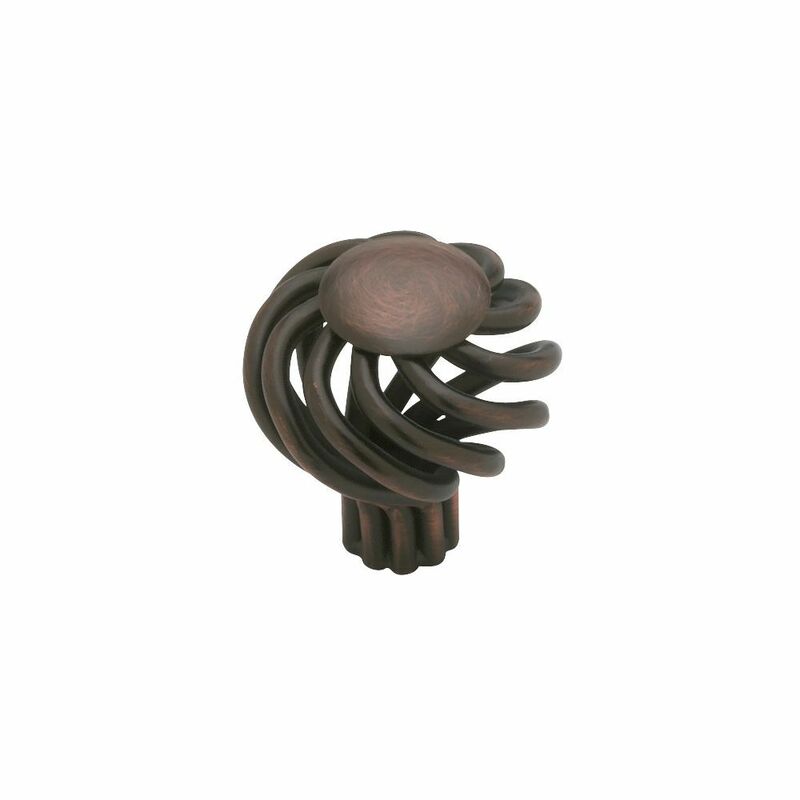 The Amerock BP36613ORB Crawford 1-3/8in(35mm) DIA Knob is finished in Oil-Rubbed Bronze. The Crawford collectionbrings together fine lines and smoothtransitions to create accents with unforgettable style that never fades into the background. The Oil-Rubbed Bronze finish is a rich, dark brown old world finish with striking light and dark accents. Knob, Small Wire Swirl Design with Flat Top, 33mm Add a finishing touch to your indoor design scheme with the Liberty 1-3/8 in. Bronze with Copper Highlights Small Wire Swirl Knob. The knob is made with metal for durability, and the beautiful finish offers an elegant look. Easy installation with mounting hardware included. Knob, Small Wire Swirl Design with Flat Top, 33mm is rated 5.0 out of 5 by 1. Rated 5 out of 5 by DaDa from Is as good as it looked in picture to order. Ordered in the store and it came as promised and looked just as good as I expected and hoped.